Teaching ESL to kindergartners can be challenging. Many children at the age of five or six are just beginning to become comfortable with one language. Introducing a new language, especially one as complex as English, can thus be difficult. However, studies suggest that children learn languages better than adults, and so children may be able to excel at their ESL studies when they begin in kindergarten. Here are some resources to find tips and activities to help make learning fun and to encourage kids to enjoy getting a firm grasp on the English language. English4Kids: This website offers free courses that are divided into different course levels. The levels reflect the developmental stage of most children or young learners, as well as ESL Beginners. These courses are taught through their online videos, and self-grading quizzes. Most of their activities and lessons are vocabulary-based, using media such as videos. ESL4Kids: This website contains songs and activities for young learners. ESL Galaxy: This website offers educational songs, games and activities for kindergartners. ESL Kid Stuff: This website offers a wide selection of classroom games and activities, flashcard games, songs, and games for interactive ESL learning. It offers over 1,500 flashcard images, hundreds of sample worksheets, games, crafts, and many more. ESL Kids: This site's ESL activities for kids include worksheets, classroom games, flashcards, and children's song lyrics. There is also a useful resource section for teachers of ESL students. K5 Learning: This website provides free worksheets for preschoolers, kindergartners and up to 5th grade. Kinder Helper: This website is a useful resource center for ESL teachers and parents. It provides fun stories, comics, games, cards, puzzles, role-playing activities, printable worksheets, songs, plays, and cut-outs for kindergartners. It also provides teachers with teaching tips and strategies. Learn4Good: This website offers a list of some great books and educational materials for learning English. Literactive: This website is a leading provider of reading materials online for pre-school, kindergarten and first grade students. Their program consists of comprehensive phonic activities and supplemental reading materials and activities to develop the child's reading skills in a progressive and enjoyable manner. Star Fall: This site is a free public service site designed to motivate children to read with phonics. Their systematic phonics approach is suitable for preschool, kindergarten, first grade, second grade, special education, homeschool, and English language development including ELD, ELL, and ESL. Taiwan English: This website contains guides for classroom games for ESL kindergarteners. TLS Books: On this website you can find kindergarten worksheets for home and school use. Their kindergarten worksheets are designed to enhance the child's skills and introduce them to new concepts in a very fun and motivational way. "ESL Activities for Kindergarteners." YourDictionary, n.d. Web. 21 April 2019. <https://esl.yourdictionary.com/lesson-plans/esl-activities-kindergarten.html>. 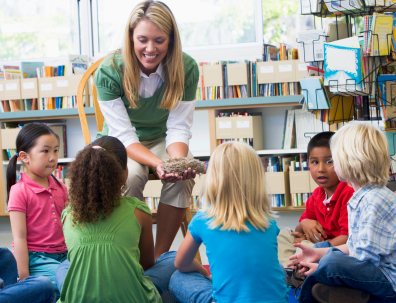 Teaching ESL to kindergartners can be challenging. Many children at the age of five or six are just beginning to become comfortable with one language. Introducing a new language, especially one as complex as English, can thus be difficult.However, studies suggest that children learn languages better than adults, and so children may be able to excel at their ESL studies when they begin in kindergarten. Here are some resources to find tips and activities to help make learning fun and to encourage kids to enjoy getting a firm grasp on the English language.